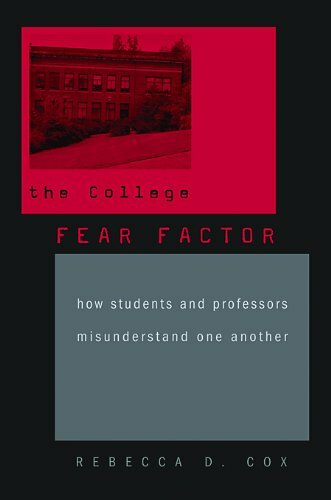 The College Fear Factor by Rebecca Cox. This book club will feature stand alone sessions. Each session will cover the book in whole and group participants will discuss its relevancy and applicability to their teaching. They’re not the students strolling across the bucolic liberal arts campuses where their grandfathers played football. They are first-generation college students―children of immigrants and blue-collar workers―who know that their hopes for success hinge on a degree. Rebecca D. Cox draws on five years of interviews and observations at community colleges. She shows how students and their instructors misunderstand and ultimately fail one another, despite good intentions. Most memorably, she describes how easily students can feel defeated―by their real-world responsibilities and by the demands of college―and come to conclude that they just don’t belong there after all. Copies of this book were handed out during the FIX conference (June 2018). We have a limited number of books still remaining. If you would like to participate in the book club but do not have a copy of the book please contact Liz Hammond after registering for the session you would like to attend.